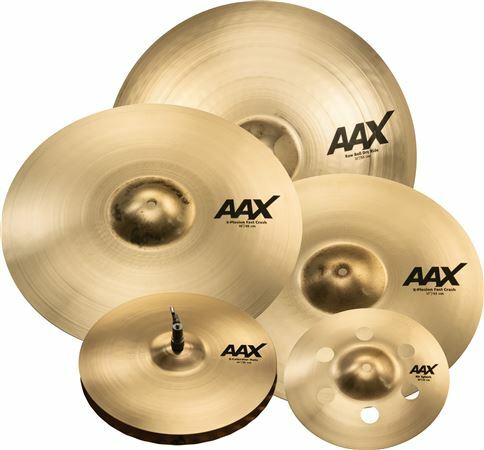 Shop Sabian AAX Xplosion Value Added Cymbal Set from AMS with 0% Interest Payment Plans and Free Shipping. The Sabian AAX Series Cymbal Package features a combination of AAX X-Plosion Crash cymbals, with X-Celerator hi-hats and AAX Raw Bell Dry Ride. Created with B20 alloy metal, the AAX series delivers the ultimate modern bright sound. Great Value !! Great sounding cymbals !! Not what i thought they would be. I like the company but the cymbals didn’t hold its value. Both crashes have already cracked and haven’t played in them for 6 months. I am very pleased with my AAX Xplosion pack! They were delivered on time, they came well packaged and of course they sound amazing like any other Sabian set I’ve purchased over the years. AMS is definitely the place to go for the best gear around ! Excellent crisp loud sound love these cymbals. For what you get in the cymbal pack you save money and this company definitely has the best deals!! !